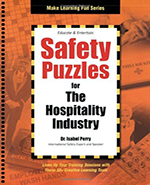 Safety Puzzle Books - Make Learning Fun! Who said learning can't be fun? 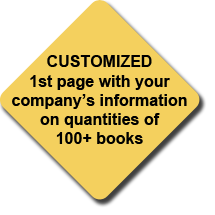 Use these books to reduce accidents, save lives and money, improve morale and productivity all benefits of a solid safety program. 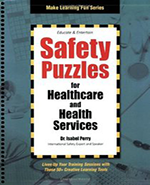 Whether its crossword puzzles, word searches, or shared pairs, you can learn about safety and have fun doing it. Enliven your safety program while reinforcing solid safety principles. 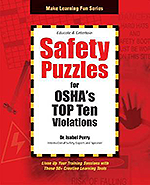 Our safety puzzle books have the information you're looking for in an easy to use format. With more than 50+ puzzles, there's sure to be a game that fits the needs of everyone - from the new employee to the master craftsman. When you complete the games, you will learn some of the specific topic requirements that will enable you to be in compliance with regulations. 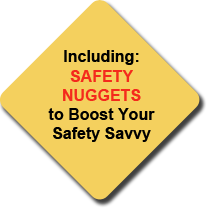 Plus, there are safety nuggets that pin-point the critical issues of each safety topic.